Barnside in Croft, near Skegness, Lincolnshire sleeps 2 people. Barnside near Skegness is situated halfway between Skegness and Wainfleet; this semi-detached barn conversion provides spacious accommodation for 2 people. Whether you are looking to sit back and relax in the conservatory with a coffee and a good book, or looking for a day out on the beach, this property is well positioned for both. There is plenty of outdoor space with seating and open views. The traditional seaside resort of Skegness with its sandy beaches, amusements, fairground, seal sanctuary and Gibraltar Point Nature Reserve is 2½ miles away to the east, with the market town of Wainfleet, home to Batemans brewery and its visitor centre, 2½ miles to the west. There are good walks and cycle routes throughout the area with fishing nearby and plenty of good country pubs for refreshments on your travels, or nearby to enjoy in the evenings. There is a beach 2½ miles from Barnside near Skegness. With the shop 2½ miles, and the pub & restaurant are ¾ mile from Barnside near Skegness. Barnside near Skegness is all on the ground floor. Living room: With 28’’ Freeview TV, DVD player and French doors leading to conservatory. Conservatory: With 24 Freeview TV and French doors leading to garden. Oil underfloor central heating, gas, electricity, bed linen, towels and Wi-Fi included. Travel cot and highchair available on request. Welcome pack. Lawned garden with patio and garden furniture. Private parking for 2 cars. Bike store. No smoking. Holidays at Barnside run from Friday to Friday. For a better idea of where Barnside is, you can see Barnside on the map below. Barnside is in Lincolnshire; should you be on the lookout for a special offer, you can find all the special offers in Lincolnshire. It's always worth checking to see what is on offer at the moment. 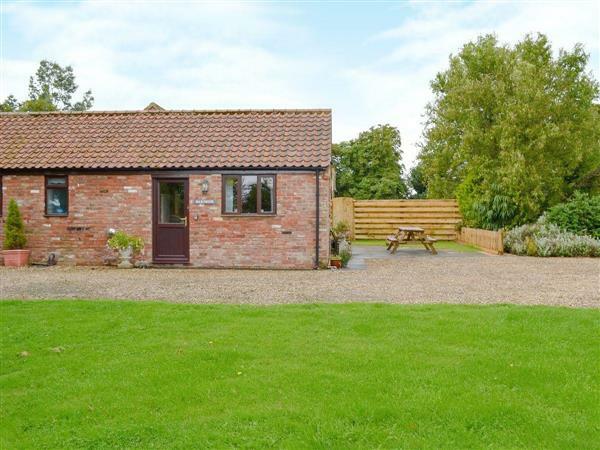 Do you want to holiday near Barnside (UKC2284), you can see other cottages within 25 miles of Barnside; have a look to find your perfect holiday location.